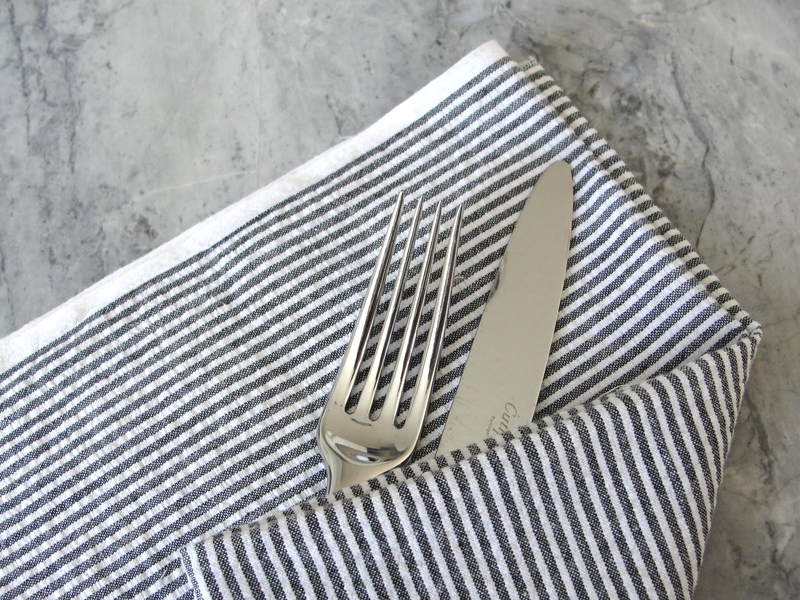 I was browsing on Pinterest the other day and I came across a DIY project from Martha Stewart for seersucker napkins. It was unbelievably easy, almost a no-sew project, something I could whip up during one of Joe’s naps, so I thought I’d give it a go. I had enough leftover seersucker fabric from a previous project to make six 20″ napkins. 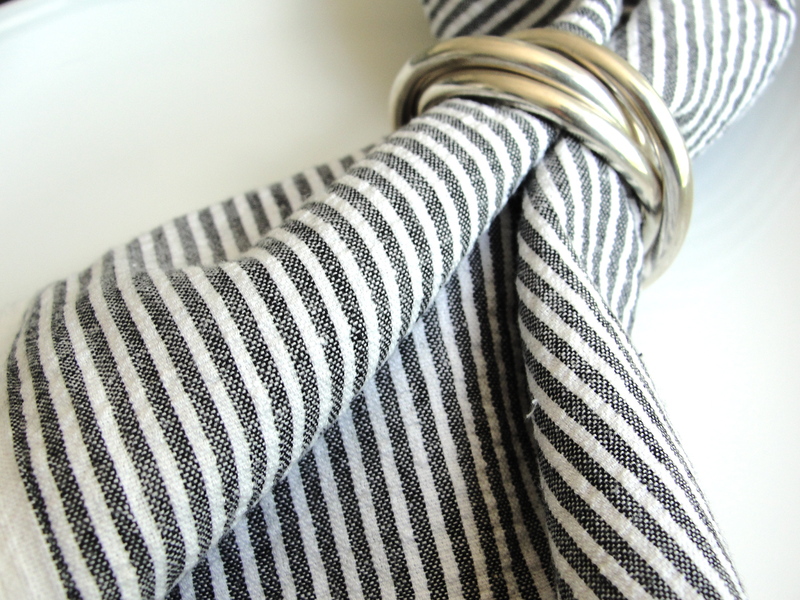 The fabric is a black and white seersucker that reads a deep charcoal stripe, which I think adds a little something to the napkins so they aren’t so beachy. Seersucker comes is a wide range of colors, so I could see doing this in a lawn green or pink as well. Imagine doing the cocktail napkin size for a Kentucky Derby party! Like I said, this is a SUPER simple project. Measure, cut, and sew a few straight lines. Voila! I gave mine a little trim and press after washing them, but you could even skip the sewing part if you want a more casual, cut-off jeans feel. I’m already thinking about making some more in the cocktail size and maybe even some coasters. I recommend you make some as well, I think they’ll become a summertime staple in no time.